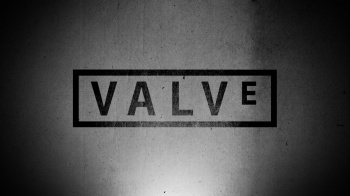 A two-man game studio has been bought out by Valve. Jeff Gates and Tod Semple, two developers best known for their work on Spore, Plants versus Zombies and Diablo 3, were until recently the co-founders of independent start-up Star Filled Studios. That game developer has been bought out by Valve but, rather than go the usual route of pulling the developers back to Washington, Valve seems to have decided to open up a San Francisco subsidiary. "My recent startup was acquired by Valve," said Semple on LinkedIn, "and we are opening a new office on the San Francisco peninsula." The acquisition may have been planned from the first days of the start-up; back in October, Semple Tweeted about his first week as an indie, and dropped a hint as to what he might have been up to. According to Semple, it was "the first time in my life that a billionaire invited me to lunch at a Michelin star restaurant. I can finally check that off my life accomplishment list." At the time Semple didn't say who his host was but, given recent events, it may well have been Newell himself, whose net worth is in the billions. As to what's next for Valve's San Francisco acquisition, it's impossible to say. Star Filled was looking for an artist, but presumably recent events have made that search unnecessary; and as for what it might be working on, it's far too soon to tell.